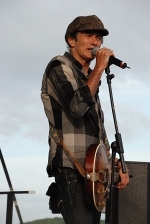 Northern german blues legend Abi Wallenstein is using the Reamer! You can find a list where to try and buy our stuff on the contact page, now. Plus new front page with a news ticker. 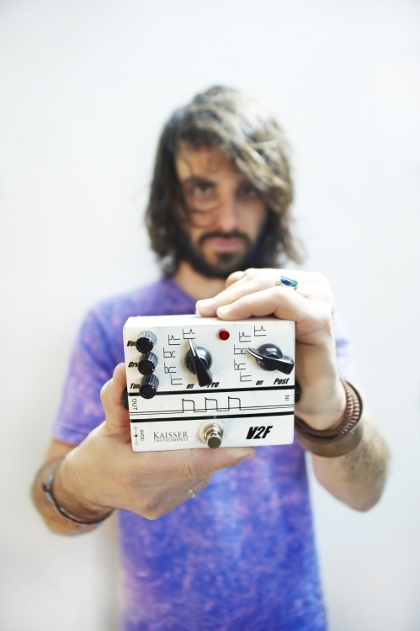 Artist: Ehren Groban plays the V2F in both his bands, Waxy and War Drum. Reamer: Here´s the new family member! Boney and brittle, punchy and fat OD pedal. Check out the updated “series” section. 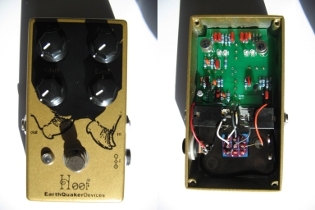 The Hoof: Nice and tidily manufactured Fuzz by Earthquaker Devices. Didn´t work at all after it was connected to a wrong powersupply. So the power section had to be repaired. 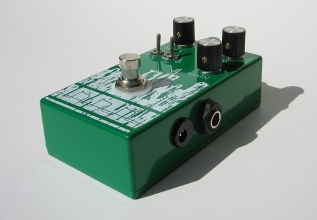 Now it fuzzes again. MIG 50: The first time I ran into one of those. What a beauty! Orange Crush10, not working at all. 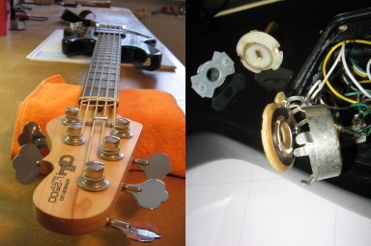 Normally, nobody would repair an amp you can get for 30 Euros in good used condition. But this one, I was told, has sentimental value. The opamp in the input stage was dead. As this is an often reported issue with this amp a socket for quick swapping was installed. And in with the new opamp. Works fine now. Roland Jazz Chorus 120 with humming/ ground issues. Nice to have this classic on the bench. To bad it had some issues. Now its like new. Well it still has a hole in the grill cloth, but that counts as “patina” I guess. I´ll take the chance and have a nice little shootout between this one and its younger adversary: Fenders Power Chorus which is still sitting around in our workshop. Check out the video section! 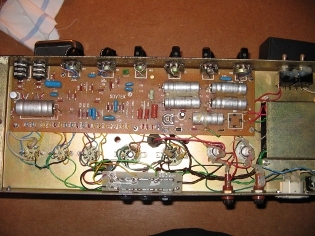 Fender Power Chorus with a dead right power amp channel and some broken jacks. Fenders answer to the Roland JC120. You don´t see this amp too often. Probably because the JC 120 did its thing just right and was played by most famous jazz guitarist. Although Fender´s stereochorus plays a league of its own. And this thing is LOUD!! and stays clean all the way. G&L L2500 with a faulty volume pot and a badly adjusted bridge. Leo Fenders last bass design. After Precision, Jazz and Stingray he designed this. One of the loudest basses i´ve heard so far. And one of the fattest five string precis there is. Three toggle switches for: pickup selection, serial/parallel mode and passive/active/active+high boost. The crackly volume pot was fixed by openig it up and cleaning it thoroughly. Bridge adjustment was rather standard. Just a pile of rubber and copper. 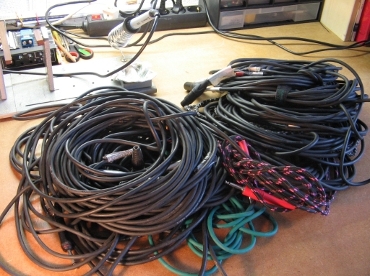 If you also want your broken cables repaired, send photos of the plugs and we tell you if it´s worth the trouble.